Online I'm pretty vanilla. I make a conscious effort not to write all the things that pop into my brain on a daily basis. Part of this is an effort to not offend anyone online, but a larger part of it is that what I put online is only part of the person I am. In public I'm not very controversial. I think many things, but have learned as I've gotten older that learning to bite your tongue is hard, but an important lesson. I transfer this understanding online. I could have larger blog hit numbers if I ranted about things daily, if I attacked another person's point of view, or spoke vocally about everything that entered my brain. I chose not to. Yes, the person I am on my blog is only part of the person I am offline. However, it is the part of me that highlights the things that I wish I could be more of in life in general. My blog is me edited down to the person that I strive to be and oftentimes fail miserably at attempting to achieve offline. It's still me though either way. So vanilla always makes me think of desserts. 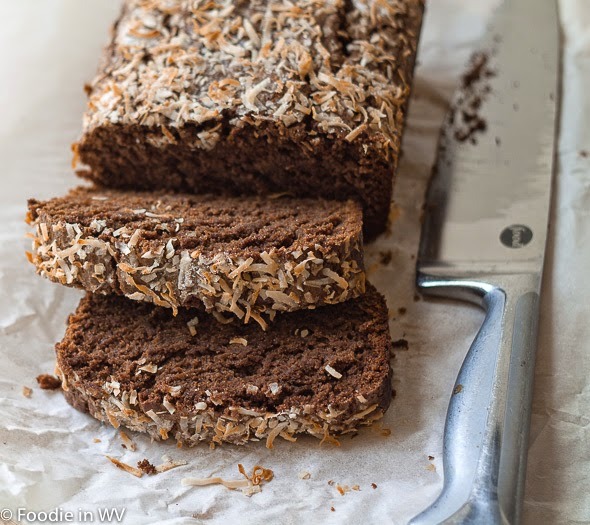 I love dessert as most of you know and last week I tried a new recipe for Chocolate Coconut Pound Cake from the March 2014 issue of Bon Appetit Magazine. This recipe has 11 ingredients. It takes 2 hours of total time, 20 minutes of which is active, and makes 8 servings. I did make a number of large changes to the original recipe. First, instead of using all-purpose flour I substituted brown rice flour and a tablespoon of xanthan gum. Secondly, I used my mixer. I know the recipe says not to do the whole recipe in the mixer, to stir the dry and wet ingredients separately and not to over mix or the top will crack. Well, I hate having to make more dishes, so I ignored the instructions. That's right I threw everything in the mixer with the paddle attachment and let it go. Yes, the top split a little bit, but it tasted just as good and no one in my house cared. Plus, I was happy since I only used one bowl. I did find that my total cooking time was a little longer than the recipe suggests, approximately 1 and a half hours total. This cake turned out really well. It rose beautifully and the gluten free flour made for a moist cake. If you aren't a fan of brown rice flour, potato flour, sorghum flour, or white rice flour would work just as well. I rarely use gluten free all-purpose flour, but it would also be an acceptable substitute. If you use the all-purpose flour omit the xanthan gum since most pre-made gluten free all-purpose flours already have it in the ingredient list. 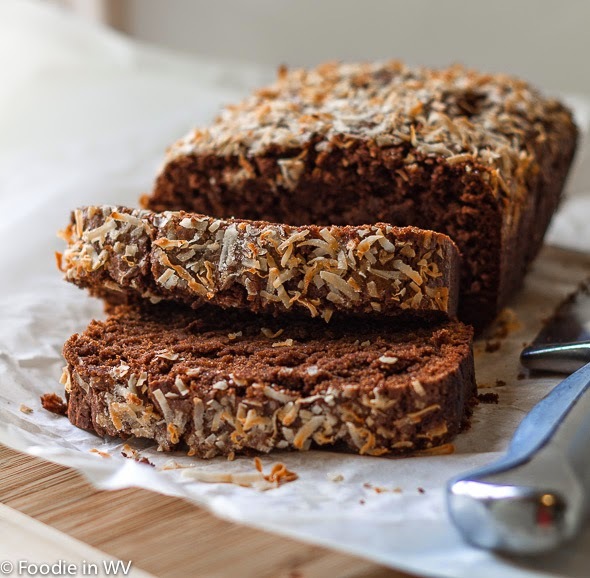 For the recipe go to Chocolate Coconut Pound Cake. wow The cake has turned out so beautiful and used just one bowl! A fuss free and delicious recipe, Ann. If I wrote everything on my mind, no one would like me. I work hard to keep it clean on my site and try hard not to offend anyone. Me too :) I think a lot of things that I don't write about or even say aloud. That's true for most of us, we all filter to a certain extent. The cake sounds delicious. And I don't think your online persona is vanilla at all!! You may not say all that you think, but your posts are always interesting. A great mix of conversation and good food! Thank you :) I try to keep it interesting without being controversial. Too much drama just makes me tired! I so agree with Rosey. I never thought you vanilla at all. I loving this cake though. 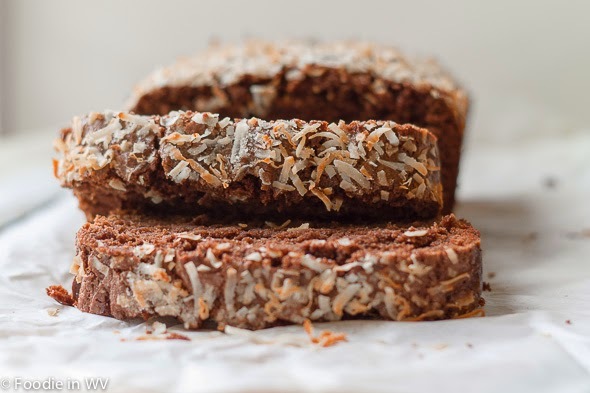 It has 2 of my favorite ingredients, chocolate and coconut. Thanks :) Chocolate and coconut are two of my favorite also. I love anything with coconut; curries, desserts you name it, yum!!! Oh men...really nice. I can almost taste it! Thanks, it turned out really well and was very easy since I just used one bowl!